This is the car that started it all. 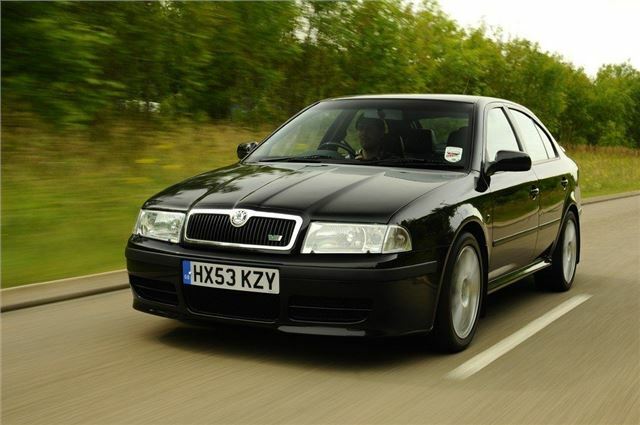 In 2000 Skoda took the very worthy but very dull Octavia and made it the first vRS model. It wasn’t the most obvious model to be turned into a hot hatch but using the 1.8-litre turbocharged engine from the Volkswagen Golf (which shared the same platform as the Octavia) it turned the very ordinary Skoda into something quite special. While the uneducated may have still been turning their noses up at the idea of driving a Skoda – particularly a sports model – those in the know were aware of the Octavia’s ability and performance. Ordinary by today’s standards, it has a 0-62mph time of 7.9 seconds, but thanks to the turbo it pulls sweetly in every gear, helped by a lovely shift from the five-speed manual ‘box - plus there’s a great sound to that acceleration with a nice little rasp from the exhaust. It may be 15 years old but the Octavia vRS still feels fresh today and is very enjoyable to drive with a more natural feel through the steering than you get from modern performance hatches. The styling changes Skoda gave the Octavia were nicely subtle and understated. It has a small rear spoiler, a chrome squared off exhaust, different bumpers and unique alloy wheels complete with green painted brake callipers. As a result it’s a bit of a Q-car – unassuming to look at but pretty potent under the bonnet. Inside there are some neat touches like the vRS sports seats with their light grey inserts, which subsequently became a trademark look for Skoda’s sporty models, along with special instrument dials plus a perforated leather gear lever and steering wheel. The 15 year old model we drove felt well built inside with a nice heavy thunk from the doors while all the buttons and controls still worked. There are plenty of 15 year old cars for which you can’t say the same. On the road it’s great fun and feels like a smaller car with good agility in corners while the ride is amazingly forgiving. Compared to the later Octavia vRS it is a little soft in corners but out of all the models here, this was the most fun to drive, which makes it a real bargain as a used car. You can get a decent one for around £2500 which is certainly a lot of car for the money and even though the one we drove had a fair few miles on the clock, it felt like it had plenty more life left in it.